Help your students take their writing to the next level. An authentic audience is so powerful for students. When they write for teachers, it can sometimes feel like a hoop to jump through. When they write for a real purpose, they are empowered. 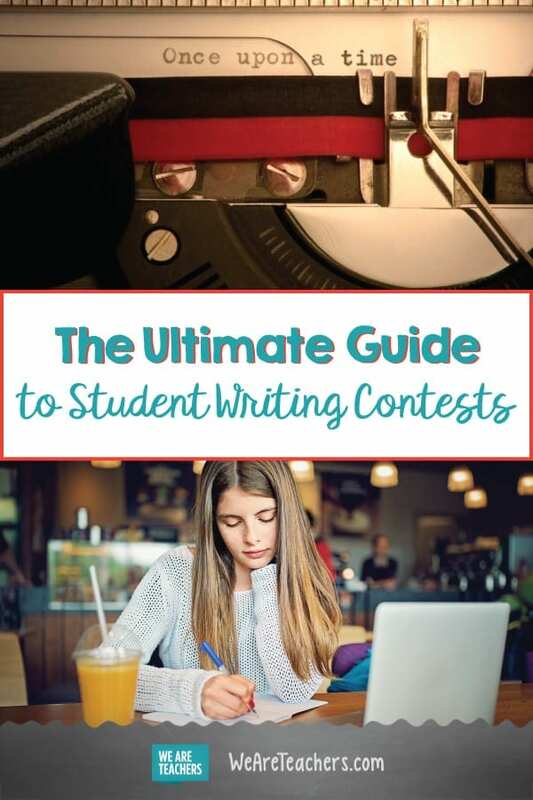 Student writing contests are an easy and inspiring way to give kids an authentic audience. Not only are they writing for a real panel of judges, but prize money hangs in the balance. Eighteen years later, I still remember the thrill of winning $400 in my local Rotary International essay contest in 12th grade. 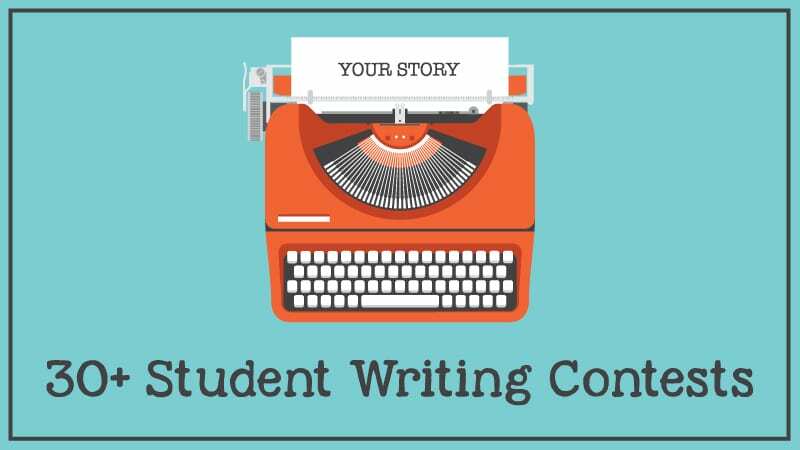 Shop through the list below, see if one of these student writing contests suits your curriculum, and get ready to see some motivated students. Description: With a wide range of categories, from the critical essay to science fictionand& fantasy, you’ll find something for everyone in this contest. Each category has its own rules and word counts, so be sure to peruse the options before you decide which one is best for your students. How to Enter: Students may begin submitting work in September by uploading it to an online account at Scholastic. Then they’ll need to print and send in their submission forms to a local affiliate organization. Read all about entry here. 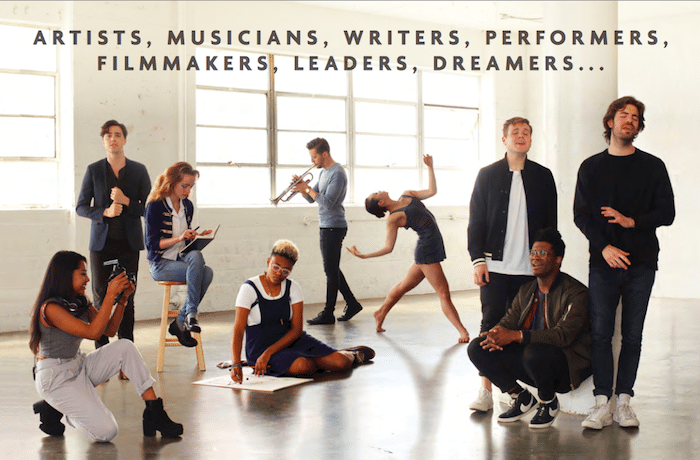 Description: YoungArts offers a national competition in the categories of nonfiction, novel, play or script, poetry, short story, and spoken word. Student winners may receive awards of up to $10,000 as well as the chance to participate in artistic development with leaders in their fields. Grab a lovely poster for your classroom wall here. How to Enter: YoungArts accepts submissions in each category until the second Friday of October. Students submit their work online and pay a $35 fee (there is a fee waiver option). Learn more about the process of applying here. How to Enter: Each year a new prompt is published in September. Stay tuned to the contest web page so you can find it when school begins. Winners receive full tuition to the Semester at Sea program as well as a trip to Washington, DC, to meet with a leader at the Department of State. Description: This annual contest invites students to write about a political official’s act of political courage that occurred after Kennedy’s birth. The winner receives $10,000 as well as a trip to Boston to accept the award. How to Enter: Students must submit 700–1000 word essays by January 18, 2019. The essays must feature more than five sources and a full bibliography. Read the requirements and find the link for submission here. 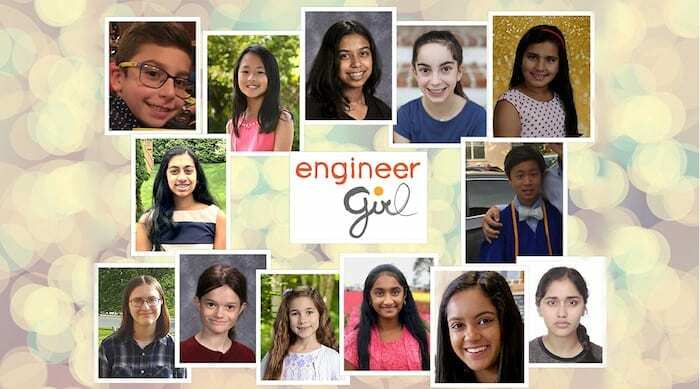 Description: Each year, Engineer Girl sponsors an essay contest with topics centered on the impact of engineering on the world. Students can win up to $500 in prize money. This contest is a nice bridge between ELA and STEM and great for teachers interested in incorporating an interdisciplinary project into their curriculum. The new contest prompt is published in October. Check out the educator’s page for more information about how to support this contest at your school. How to Enter: Students submit their work electronically. Word limit varies by grade level. Check out the full list of rules and requirements here. Description: Bennington College offers a competition in three categories: poetry (a group of three poems), fiction (a short story or one-act play), and nonfiction (a personal or academic essay). First place winners receive $500. How to Enter: The contest runs from September 1 to November 1, so stay tuned to the website for information about how to submit entries. Description: In this competition, judged by the theater faculty of Princeton University, students submit short plays in an effort to win recognition and cash prizes of up to $500. How to Enter: Students submit ten-page play scripts online or by mail. The 2018 deadline was in April, but stay tuned to the website for full details for the 2019 contest. Description: This unique competition invites students to use their creativity to make a difference for our planet. As the creators share on their website, “Our contest is a call for young artists, thinkers, and activists who are concerned about the future of our human and natural communities to use their creative voices to explore, express, and advocate for issues related to climate change and our oceans.” Students are eligible for a wide range of monetary prizes. 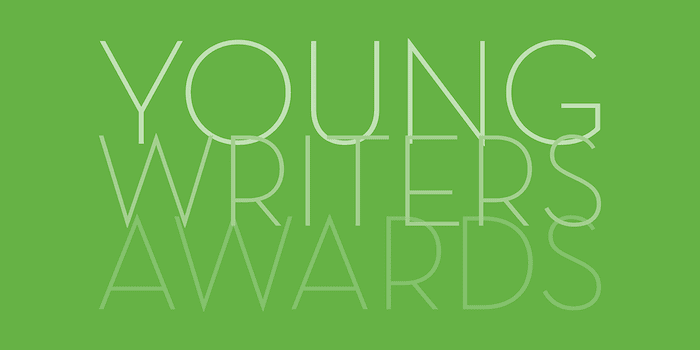 How to Enter: Students may submit work in the categories of art, poetry, prose, film, or music which must always be accompanied by a reflection. Check out the contest details for a set of educator resources as well as the new contest prompt coming out in September. Description: Each year Penguin Random House sponsors an essay contest on one of the classic novels they publish. This year’s choice is The Adventures of Huckleberry Finn, and the publisher has provided five essay topics for students to choose from. Five winners will receive $1,000 toward their future education as well as a full set of Signet Classics for their school library. How to Enter: Teachers submit four copies of the student’s work with a variety of information attached. Because of the paperwork involved, it might make sense to choose the top essays from your class to send in to the national contest. Consider letting the class vote by secret ballot or asking a few guest judges to help you choose. Check out the full details for sending in student work under “how to enter” here. Description: This essay contest, sponsored by the Society of Professional Journalists and the Journalism Education Association, invites students to consider the importance of independent media. Students may win scholarships of up to $1,000. How to Enter: Students submit 300–500 word essays based on the yearly prompt either online or by mail, accompanied by a $5 entry fee. Essays for 2019 are due by Feb. 22. Stay tuned to the website for the new prompt. Whether it’s letting students blog, start a podcast or video channel, or enter a writing contest, giving students an authentic audience for their work is always a powerful classroom choice. Do you know of other student writing contests? Come share them in our WeAreTeachers HELPLINE group on Facebook. Plus, check out this article on teaching job readiness skills to students.